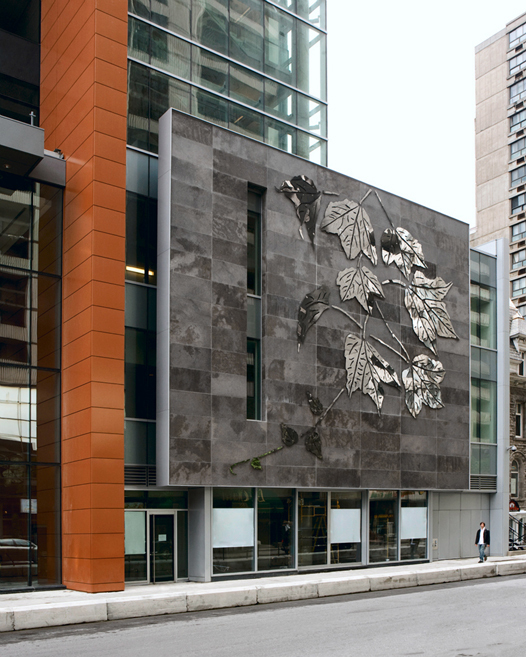 The 550 square foot square piece features a vine of reflective, anodized metal climbing up a limestone wall. 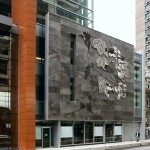 The artist developed the piece as a uniquely-Concordia take on the elitist tradition of ivy-covered academe. The vine’s reflective surface permits viewers to project themselves onto the fabric of the institution, which, since its foundation, has characterized itself by its accessibility. According to the artist, the work serves as a platform to share Concordia University’s vision, which speaks of cultural diversity, access to education and openness to a diverse population of students through its excellent programs and teaching.